SNAFU! : A unique perspective on why the Russians sent the SU-57 to Syria. A unique perspective on why the Russians sent the SU-57 to Syria. Check out this comment by Emile. If I was to guess the move to bring it into Syria has several aims, some short term some long term, some modest and some potentially bold af. Obviously showing it operating in Syria, especially if it drops some bombs will do wonders for its sales potential, especially with the Indians who are getting cold feet. It also will allow them to hone the design and to get some experience flying it against NATO planes (especially the F22, although I ready somewhere that the US has grounded the F22 as a response). Personally, I think a major motivator was however to put a leas h on both Turkey and Israel and put them back into their respective boxes. The war to the North and South is looking like escalating a lot and both of those countries have demonstrated total disregard for Syria's boundaries as a State, so Putin may well have reasoned that if it comes to it, he may need a big stick to discipline them with (even if it doesn't yet work, they can't be sure). Building on that and linked to sales potential...know what will send everyone and their nan rushing to by the SU-57? if it "accidentally" takes down an Israeli F35. Doing it to an American plane would be WWIII but picking off an Israeli one will achieve a triple threat of humiliating the US military industrial complex by demonstrating practically that the F35 is garbage, shock Israel to its core (and force them to back off long term), as well as earn Moscow countless new friends and customers. That would be a helluva reckless move, but hell, it's Putin so nothing's off the table. I've heard all kinds of speculation about why the SU-57 is in Syria but this covers some of the same boxes that have been checked AND the issue with Israeli F-35's and what would happen if one were to be "downed". If the Russians do plan on taking a shot at an F-35 (assuming the Israelis even chance to send it into combat) then it really won't matter what weapon system does the deed. S-400? It's a big win. 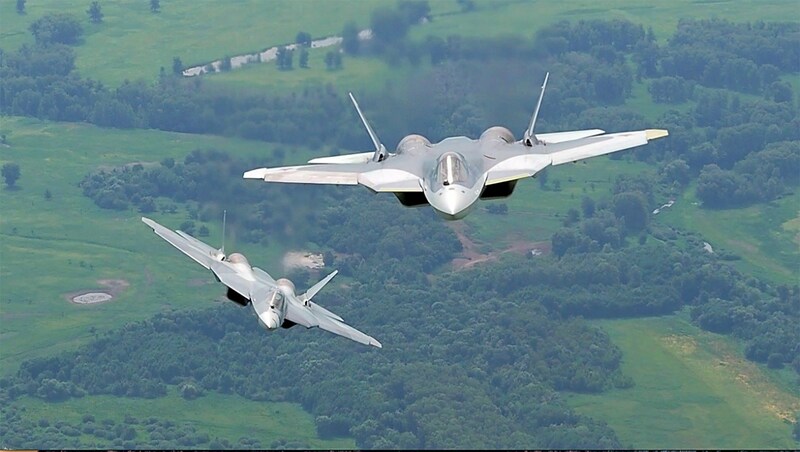 SU-57? It's a huge win, everything changes and the American military/public are in shock, our allies are mortified and Lockheed Martin stock is destroyed. I really don't think so but what if it is? What if this unique theory is correct? With Syria I've seen stranger things!